Stan Lee was present at this past weekend’s C2E2 convention for a special spotlight panel. During the panel, he was asked some questions about S.H.I.E.L.D. in the Marvel Cinematic Universe. He recalled what S.H.I.E.L.D. originally stood for – Supreme Headquarters, International Espionage, Law-Enforcement Division – and said he wasn’t really sure why they changed it. He then brought up another thing that bothered him: how Samuel L. Jackson plays Nick Fury. Stan Lee co-created Nick Fury with Jack Kirby in 1963’s Sgt. Fury and His Howling Commandos #1. 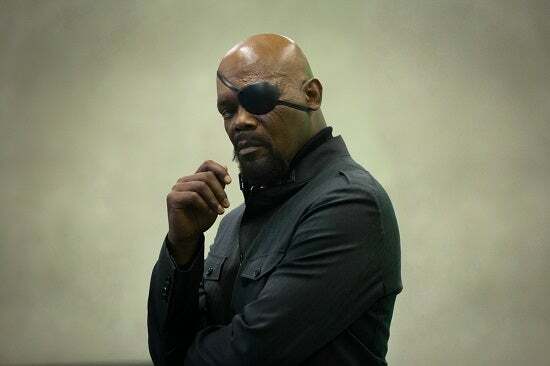 Jackson has played Nick Fury since the Marvel Cinematic Universe started in Iron Man. Fury’s character in the comics is known as a grizzled, no-nonsense war vet. Apparently Stan Lee doesn’t feel that Jackson’s understated performance conveys the characters presence well enough.